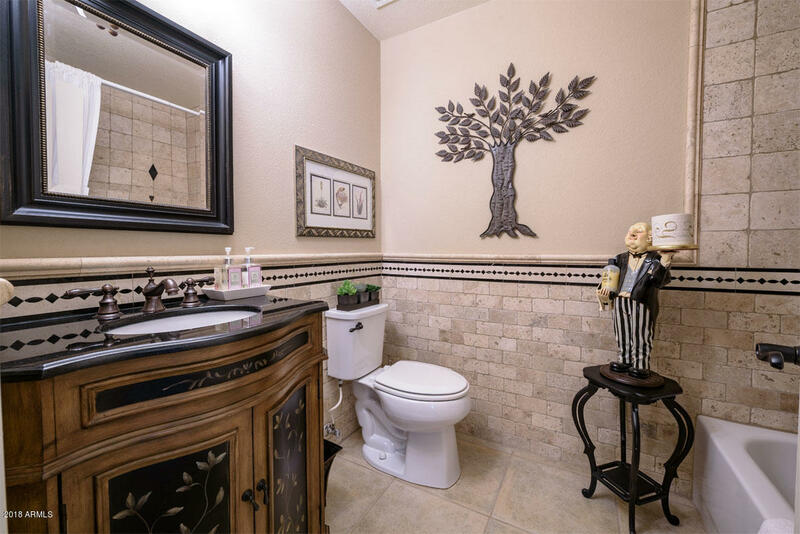 Prepare to be pleased! 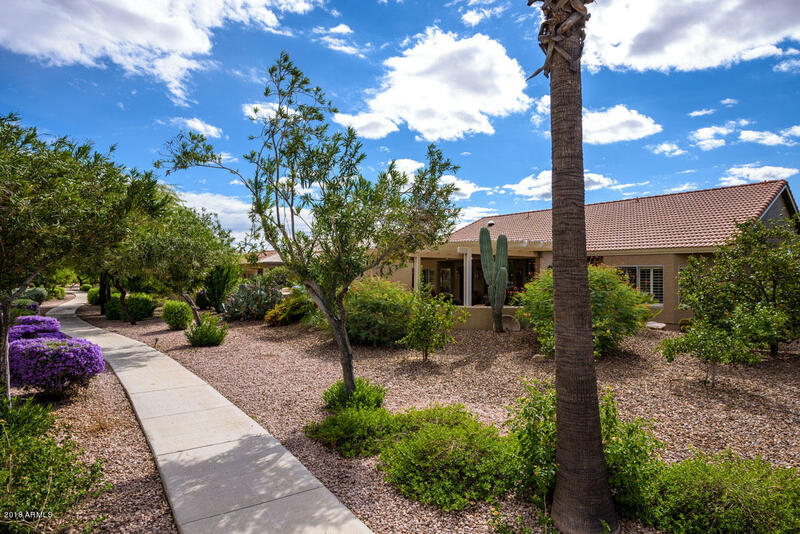 Situated on a stunning corner lot with great outdoor living areas with pavers on the driveway, courtyard and patio. 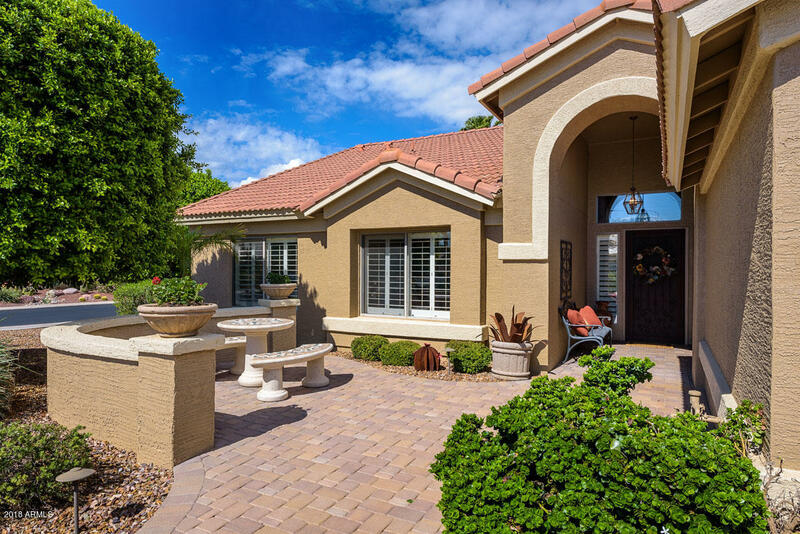 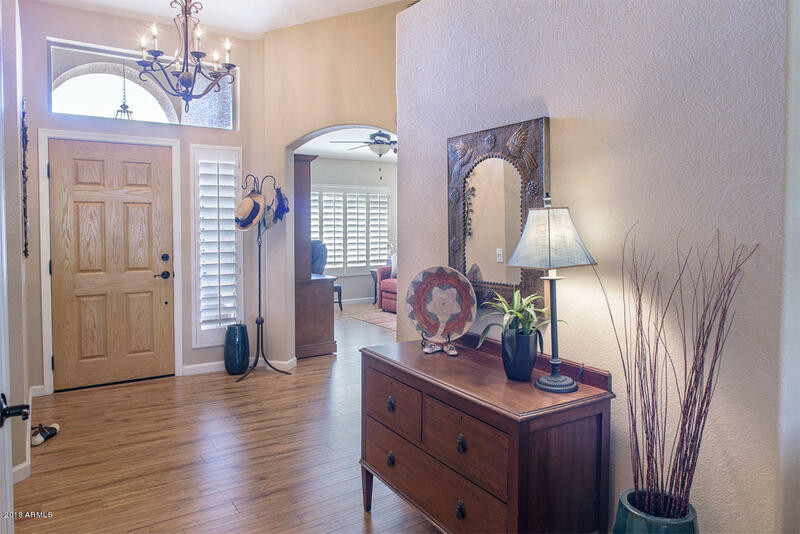 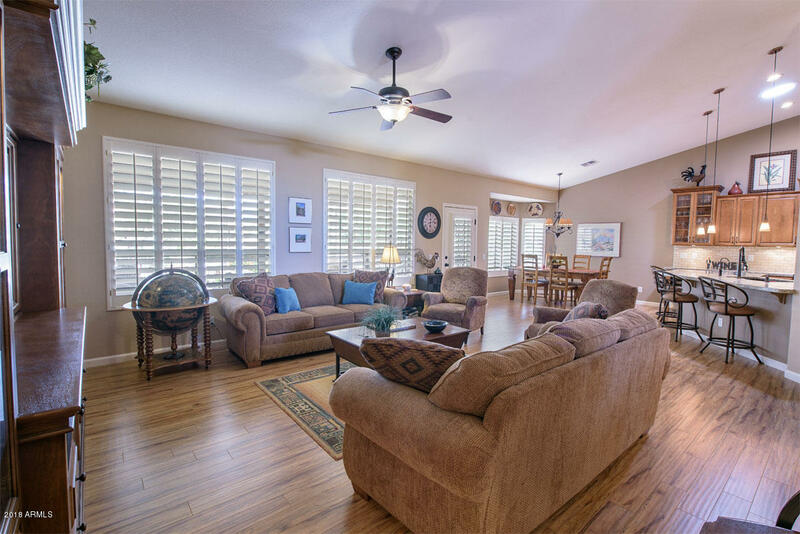 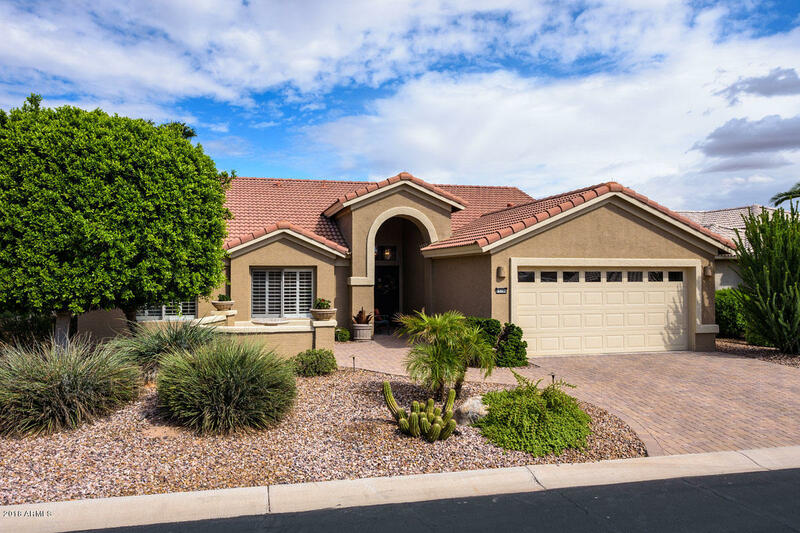 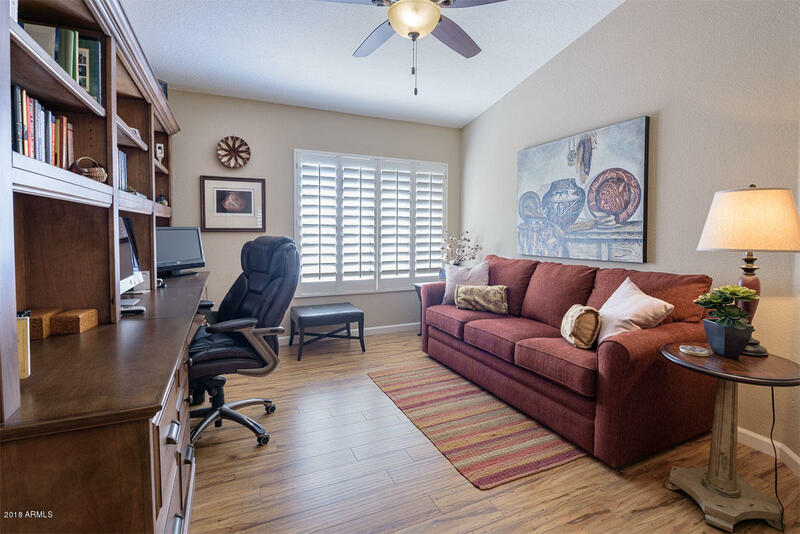 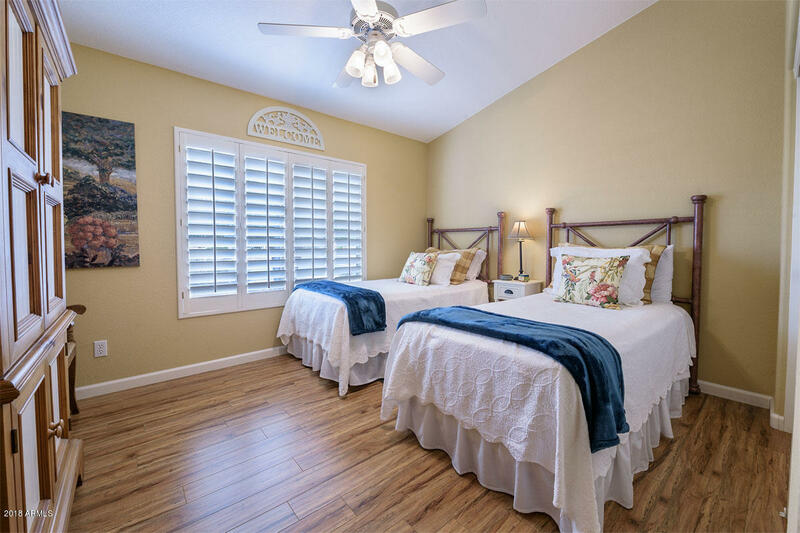 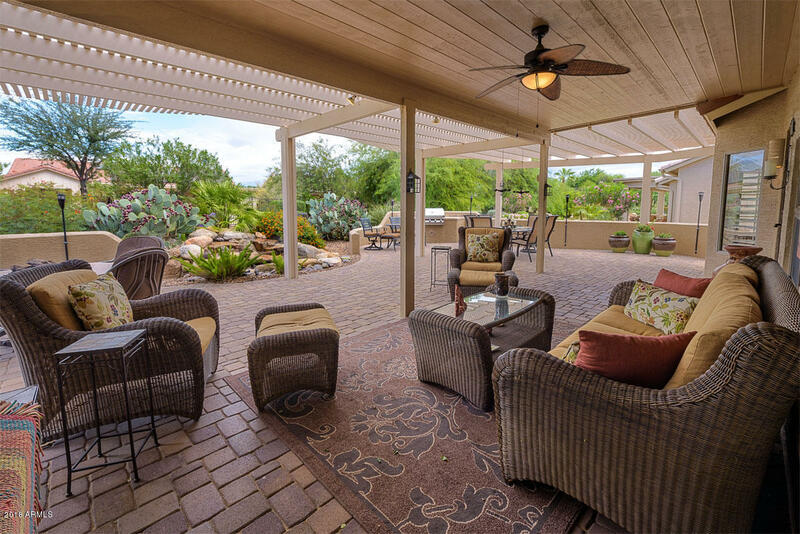 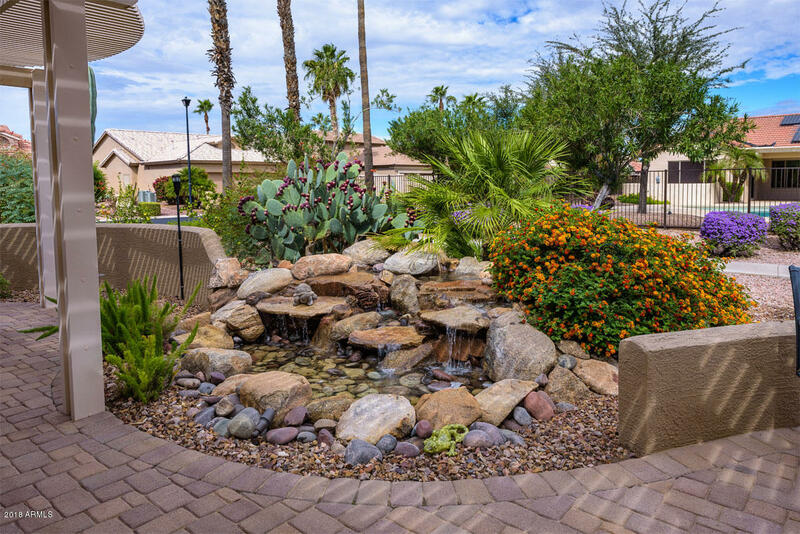 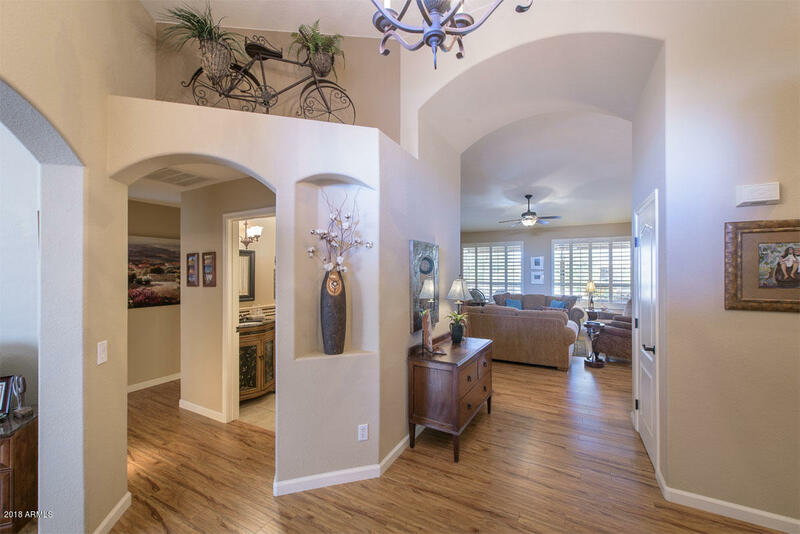 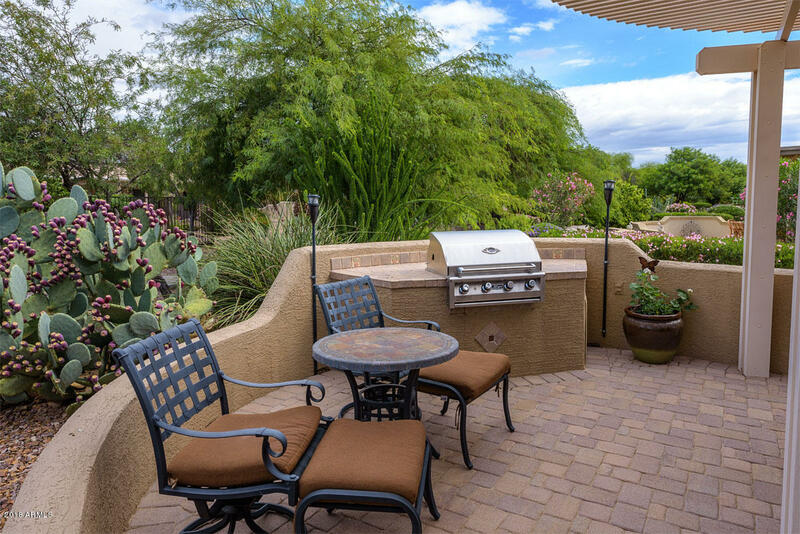 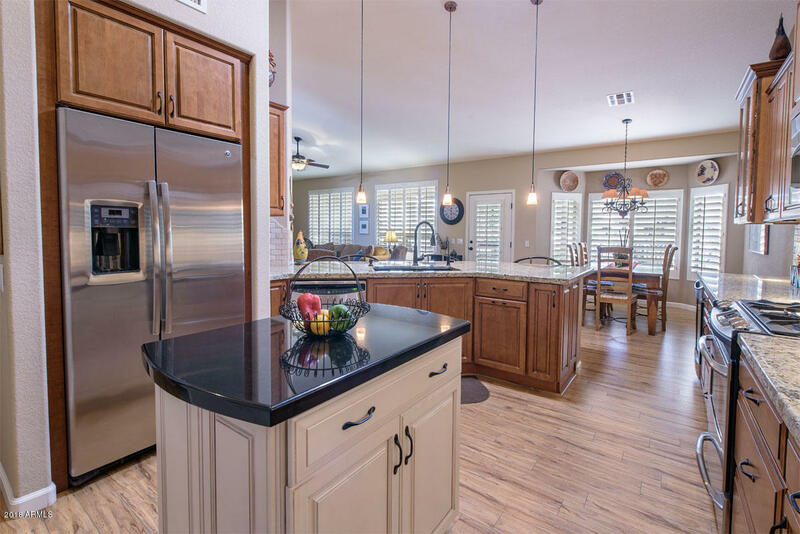 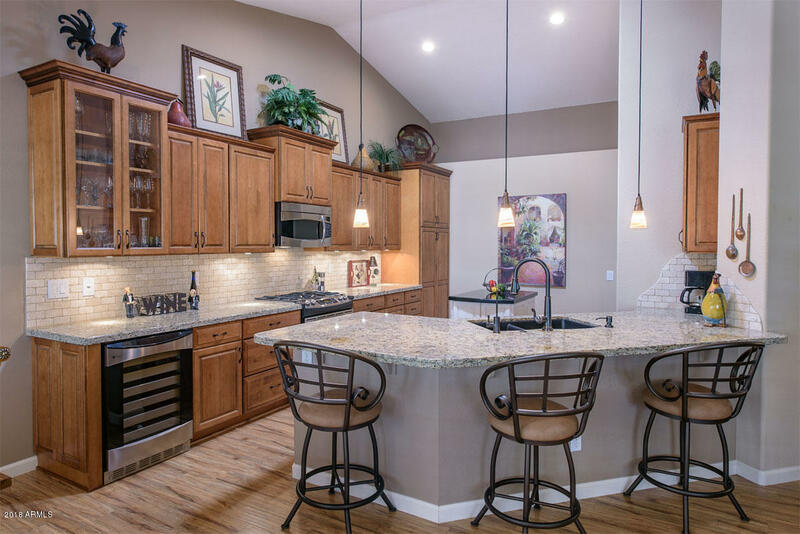 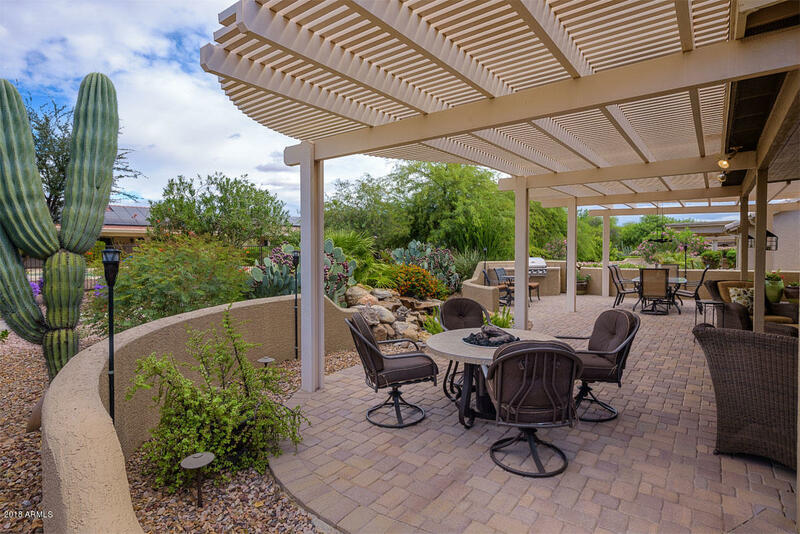 Many updates have recently been completed to this well maintained Sedona model home. 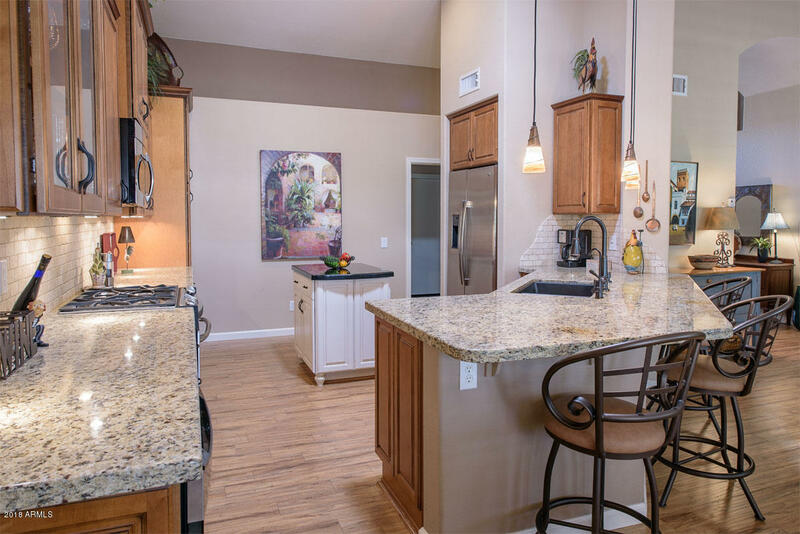 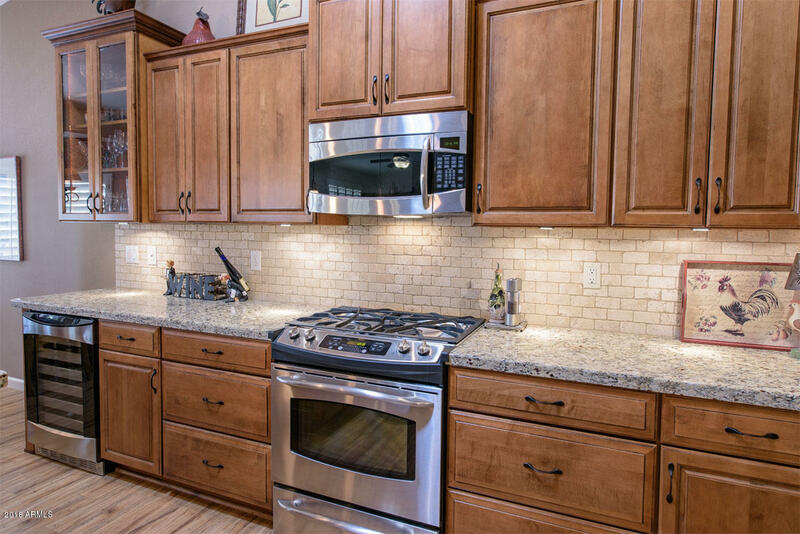 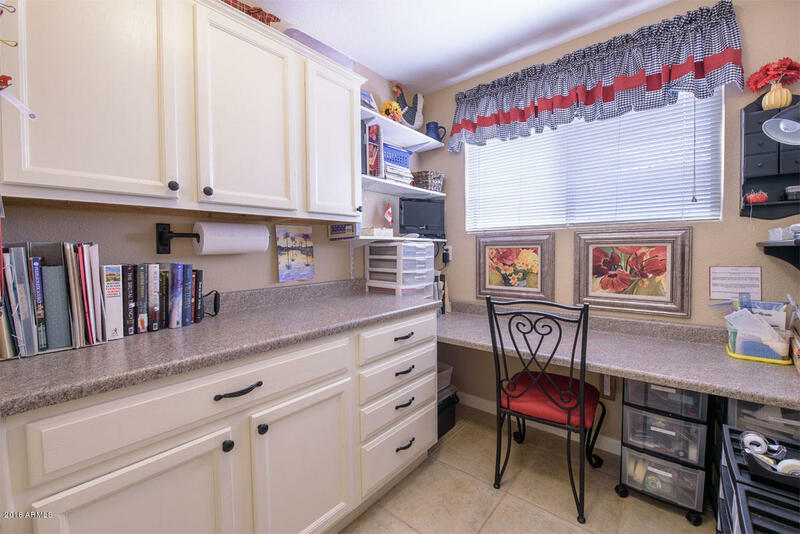 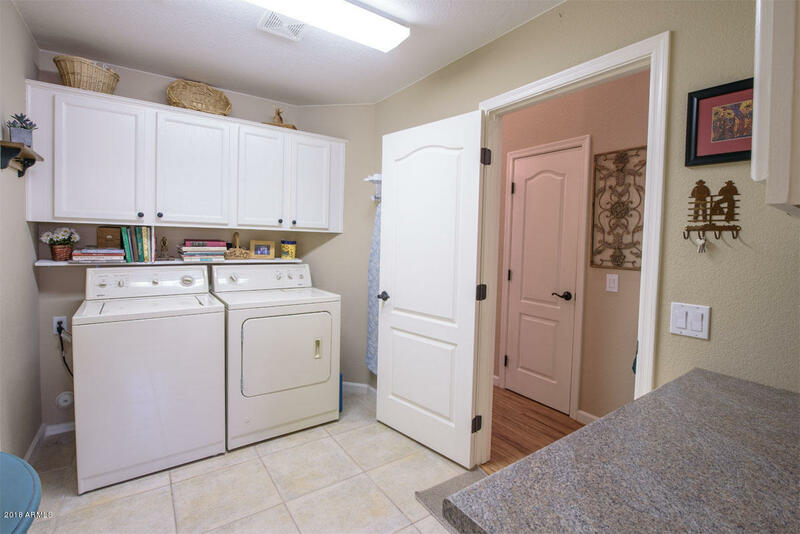 The cabinets in the kitchen are gorgeous with granite counter tops, SS appliances, walk-in pantry and solar tube. 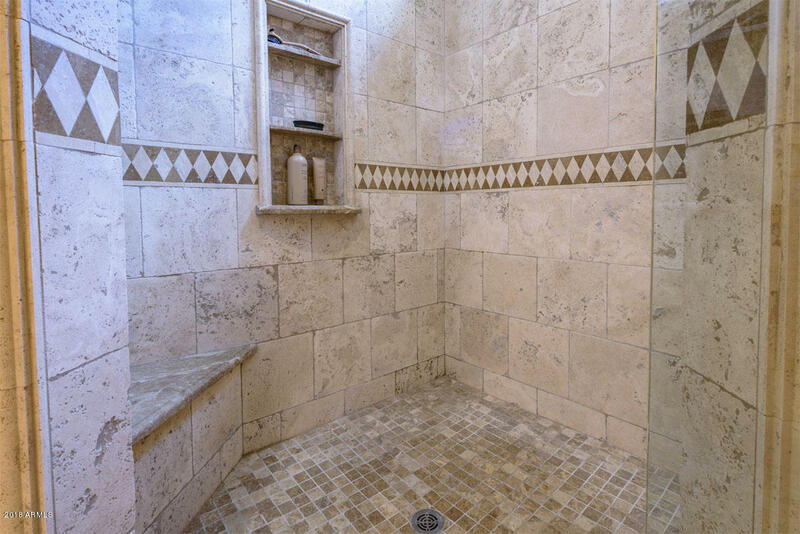 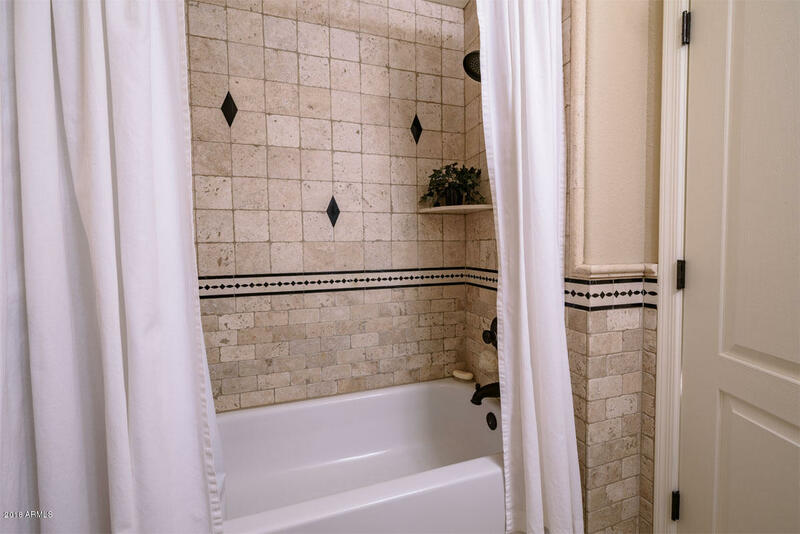 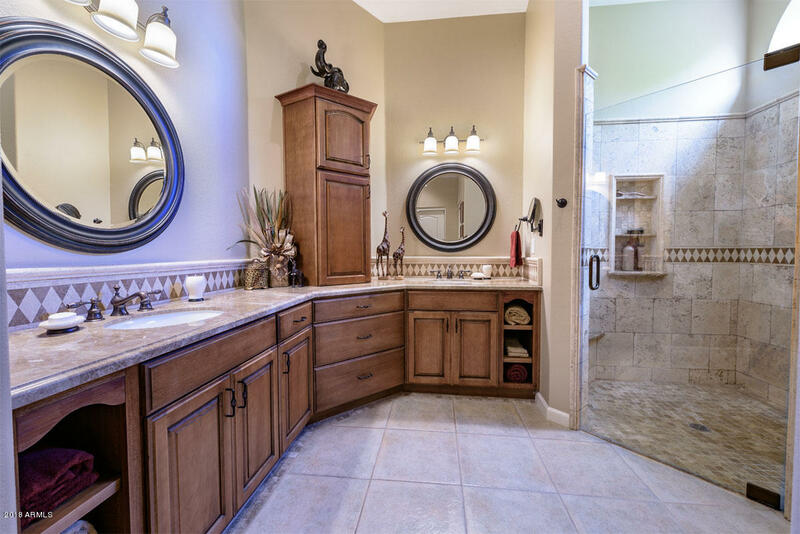 Both bathrooms were totally remodeled-wait till you see the shower in the master bath!!! 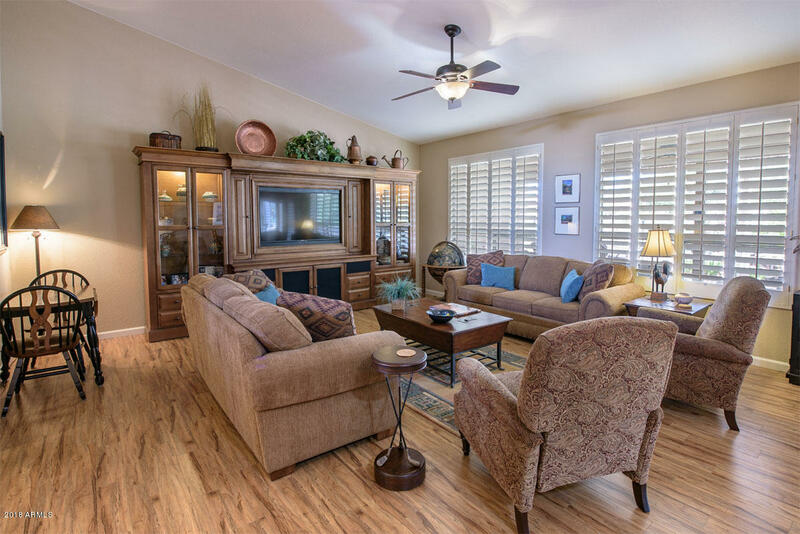 Flooring replaced with engineered wood and baseboard throughout home. 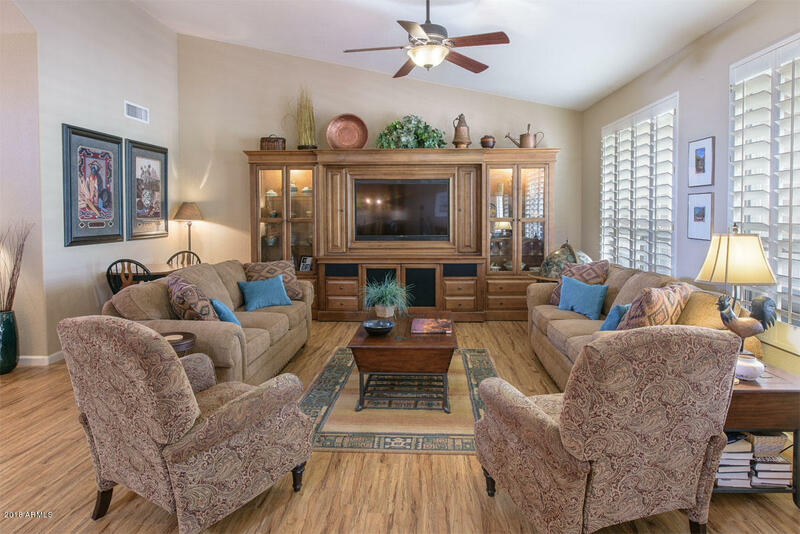 Interior lighting, fans and switches replaced.The Stone Creek media center and 55'' TV (1/18)will be included in the purchase of the home along with the desk/shelves in den. 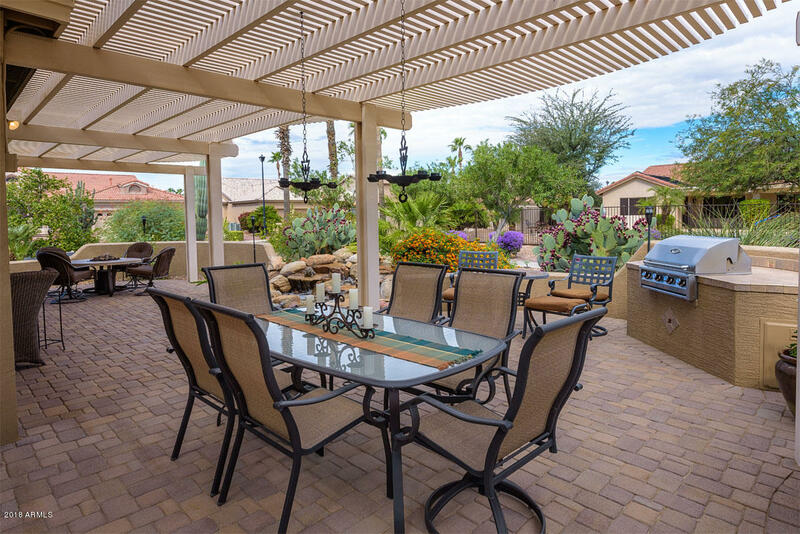 Enjoy your backyard patio w/ water feature, new built in BBQ grill, pavers, pergola, firepit with seating and new patio ceiling.